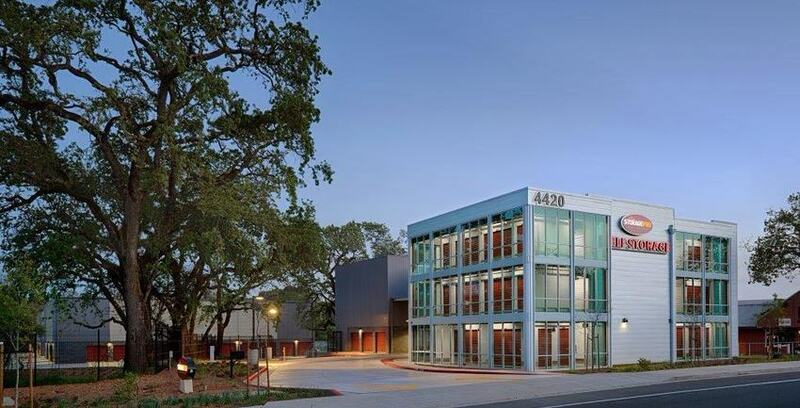 21st & R Self Storage (SP12) can be found in the bustling mid-town area of the capital city of Sacramento. Since its completion in 1912, the building has witnessed the city grow and change. The Sacramento Bee located across the street, once belonged to Buffalo Beer Brewing Co and the California Winery once stood where CVS is now. The building of SP12 itself has changed immensely since its origination. Capital Van & Storage built SP12 as a fireproof warehouse in 1912, making it one of the oldest storage facility in California and the first storage facility ever to have a women’s restroom! Its office was constructed and completed in 1920. This building was one of three storage facilities built by Capital Van & Storage. Storing tenant’s belongings was done a little differently back then; the company sent moving vans to tenant’s homes, picked up the items, and then placed the belongings into storage. Each item was given an assigned ticket, which would be given to the tenant. The tenant would come into the store with their ticket, the employee would go retrieve the item, and give it back to the tenant. In addition to storing tenant’s personal items, the facility stored automobiles and pianos. Often the automobiles would be delivered via the railroad found directly behind the building. The Union Pacific Railroad transported vehicles to the facility, opened the roll-up doors, and put the cars into the handy freight elevator to be stored on one of the many levels of the building. Nowadays, the railroad is sometimes used by the Sacramento Bee and Sacramento’s public regional transit line, Light Rail, built their own tracks right above it. This building remained Capital Van & Storage’s until the 1950s when Beacon’s Storage took it over. Forty years later, StoragePRO began managing the facility and has done so for 25 years!